We do professional, fast and reasonably priced dishwasher repair service. 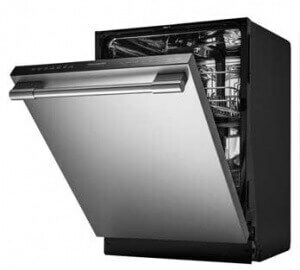 Is your dishwasher not starting, not draining, leaking water or not making dishes clean. We can help you with all those issues and many others. If you are looking for dishwasher repair, installation or maintenance, we are your go-to experts. We repair all brands and models of dishwashers including but not limited to Asko, Bosch, Frigidaire, GE, Kenmore, KitchenAid, Maytag, and Miele. In fact, our repair team is factory trained and certified in most of them. We are your most-trusted local option for fast, easy and affordable dishwasher repair in Marin County and East Bay. A dishwasher is a heavily used appliance. Over time the parts and mechanism get worn down. Those parts always have contact with water, and they can easily get damaged over time. But buying a new dishwasher is pretty expensive and most often unnecessary. Fixing it will save you both money and hassle. Especially, if we are the company doing those repair for you. We will help you save money and time by making your dishwasher repair in Marin County and East Bay experience fast and hassle free. After an appointment with us, you will end up with perfectly functioning, clean dishwasher. We guarani it! Our technicians are trained, licensed, vetted to do dishwasher repair right. They are also friendly and helpful. Customer service is always super important to us. Same day appointments are available. Call us for an appointment, and we will be at your place right away performing dishwasher repair and maintenance. Top Home Appliance Repair has years and years of appliance repair including dishwasher repair, washer and dryer repair and other kitchen appliance repairs. We are a family owned and operated business. Our service area includes East Bay, Marin County, Oakland, and Novato as well as surrounding areas. We do both residential appliance repair as well as commercial appliance repair. That includes commercial kitchen repair for any restaurant, cafeteria, careering business and much more. We repair all major home appliances such as refrigerators, washers, dryers, stoves and ranges, ovens, steam ovens, microwaves, freezers, ice makers, barbecues, pizza ovens, patio heaters and many other services. Our company repairs all home appliances such as Asko, Bertazonni, Bosch, Dacor, DCS, Electrolux, Fisher&Paykel, Frigidaire, GE, Jenn-Air, KitchenAid, La Cornue, LG, Liebherr, Marvel, Miele, Perlick, Samsung, Siemens, Sub-Zero, Thermador, Traulsen, True, Viking, Whirlpool, Wolf and many other brands. With our extensive experience in the field of kitchen appliance repair, you can trust us to do the best job on your dishwasher. You can also expect excellent customer service from us. We try to save you time and make this a fast and easy experience. Our employees are polite, prompt and helpful. For your dishwasher repair in East Bay, please call us at 925-265-7782 or for dishwasher repair in Marin County please call us 628-214-0064. From the moment we complete our job, we guarantee you total customer satisfaction. After a phone call to us, we will ask you some questions about your dishwasher and give you an estimate. Then we will make an appointment with our licensed technicians. He will be reliable, friendly and knowledgeable. He will complete the inspection of your dishwasher and start working right away. Our technician will replace the parts that need replacing. We carry the majority of those parts with us. Therefore, nothing will need to be ordered from the warehouse. Our parts are always good quality and well priced. Often dishwasher needs to be cleaned. We will take it apart and do all the cleaning it requires. 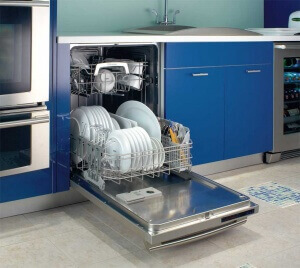 We will also, give you useful tips on how to keep your dishwasher in good condition for a very long time. Whatever the problem is, we will try to solve it for you. Appliance safety is very important to us. We check all the appliances for safety and functionality after we are done with work. So, the product we turn back to you is fully functional and clean dishwasher. You can start using it right away. You get the best dishwasher repair in East Bay and dishwasher repair in Oakland that you can get. 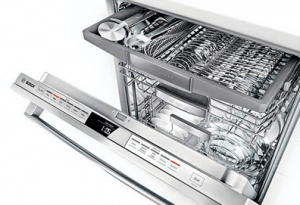 Why choose to do dishwasher repair for you? We have a lot of experience with dishwasher repair East Bay as well as all other another appliance repair. In particular, we are great at dishwasher repair. Our technicians are all factory trained and authorized. They know all the ins and outs of household appliances. They are also nice to work with, helpful and polite. Your repair appointment will be fast and easy. You will also save money by fixing your dishwasher instead of buying another one. We will help you save extra by making our services and parts very reasonable. We quarantine that your dishwasher will function great after an appointment with us. In fact, it will be as good as new! For all your dishwasher repair in Oakland and dishwasher repair in East Bay call us at 925-265-7782. For your dishwasher repair in Novato and dishwasher repair in Marin County, please call us 628-214-0064. Or you can fill out our short contact form. Our service area is Alameda County, Alameda, Berkley, Dublin, Hayward, Livermore, Oakland, Piedmont, Pleasanton, San Leandro, Contra Costa County, Antioch, Brentwood, Clayton, Contra Costa, Concord, Danville, Discovery Bay, East Bay, Lafayette, Oakley, Orinda, Pittsburg, San Ramon, Walnut Creek, Santa Clara County, Sunnyvale. Top Home Appliance Repair has done great job repairing my dishwasher. I am located in Oakland and they came right away. It is an older dishwasher, so I was not expecting much. But Top Home reassured me that it can be fixed. Repair man was at my house very next day. He even brought parts with him. After about 30 min of work he was done. It was fast. Repair man even waited to make sure my dishwasher was working. I was really impressed with how fast and organized he was. The company is only as good as it’s employees and this guy really knew what he was doing. I will use Top Home Appliance Repair again!